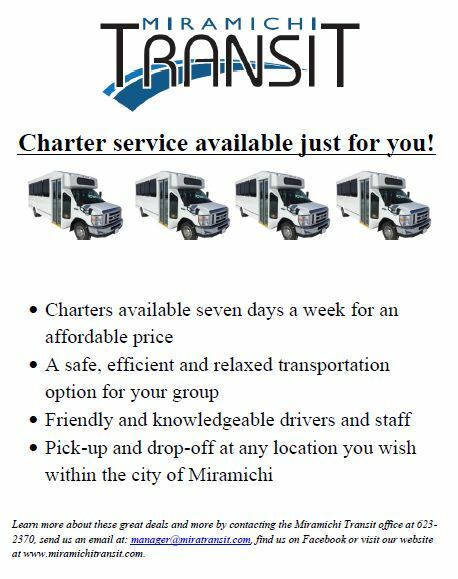 Miramichi Transit offers charter service within the city. The cost is $150 per hour and $50 per hour for wait time. If your group or organization would like to be provided with our charter service, contact our office today at 623-2370.